Welcome to Zurich Instruments' first newsletter of 2017. To start the year we have a new release of our LabOne instrument control software (LabOne 16.12) available for download; featuring a graphical user interface for fully-integrated imaging. Two new MFLI Lock-in Amplifier options are also now available: 4 PID Controllers with PLL capability and an AM/FM demodulation kit. What’s more, the MFLI now includes a Threshold Unit, supporting AFM Tip Protection. The article below summarizes how these new features and options can be used to realize some of the most advanced AFM modes. 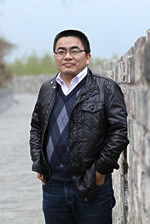 We are delighted to feature our first interview with a Chinese scientist, with Professor Gaojian Wu from Nankin University, on his research on the magnetoelectric effect. Finally, we want to invite you to apply for one of our workshop sponsorships. You can read below about the winner of the first 2017 sponsorship. We look forward to seeing you again at one of the many exhibitions and conferences we will be attending this year! Have you reached the limits of your current SPM instrument? Our digital phase-locked loop (PLL) for SPM/AFM takes you to new frontiers. This purely digital instrument provides excellent filter characteristics, improved linearity, dedicated control features, and overall better performance for AFM operation. The LabOne PID Advisor includes model functions to enable an easy setup of PLLs and AGC at user defined bandwidths. In addition, the Auto-tune feature minimizes the residual feedback loop errors. To increase the lifetime of your AFM tip the new MF Threshold Unit detects the stress level based on AGC and/or PLL data and outputs a logical signal to automatically increase the distance between the tip and the surface. Avoiding AFM tip damage during measurement is particularly important for UHV applications because changing the tip is a cumbersome and time consuming process. The MFLI can be connected to most SPM controllers by analog interfacing using standard BNC cables. Alternatively, users can stream acquired AFM data digitally to the computer using LabOne, our instrument control software. A selection of programming interfaces is available (MATLAB, LabVIEW, C, .NET, Python), managed via a graphical user interface. Imaging capability is also built in, and it only takes a mouse click to capture scanned data or change experiment settings to optimize the imaging process. Find out more about Zurich Instruments' AFM support here. Hello Professor Gaojian Wu, Which department in Nanjing University of Technology do you belong to? What is your research area and direction? What topics are you most interested in? I currently work in the School of Physical and Mathematical Sciences of Nanjing University of Technology. My main research area is condensed matter physics. My background in mathematics led me to the study of the frequency response of the magnetoelectric effect. More recently I am studying the frequency response of the magnetic coefficient in magnetoelectric composite materials. In the future, I may consider expanding into studying the influence of magnetic modulation on optical properties. What are your most recent publications? What are the highlights? In the last three years, I published four papers, all of which are basically related to the frequency response of the magnetoelectric effect. One of them is titled “Enhanced converse magnetoelectric effect in cylindrical piezoelectric-magnetostrictive composites” (Eur. Phys. J. Appl. Phys. (2016) 76: 10602) which contributes to the theory and the experimental research of cylindrical structure enhancing the converse magnetoelectric effect. There was another great article on studying the problem of resonance frequency of the resonance direct and converse magnetoelectric coefficient “Inequivalence of direct and converse magnetoelectric coupling at electromechanical resonance” which was published in Applied Physics Letters in 2013. This paper proposes a new method to explain the resonance direct and the converse magnetoelectric effect. This publication was very well received in the research community. What are the challenges you face in your scientific experiments? What are your expectations for scientific test and measurement equipment? The most important challenge is the use of electrodeless plating methods to prepare cylindrical samples. The main reasons are: individuals are not familiar with the chemical preparation methods, and experimental preparation parameters are more difficult to reproduce. Our most important criteria for test instrumentation are high efficiency and user intuition, plus ease-of-use and convenient data collection. As well data should be conveniently provided by the software in order for easy post-processing. Consequently not only can we enjoy the most advanced precision instrumentation, but also we do not need to spend too much time on learning how to use the equipment. We can then put more energy into the research and data analysis. What are your favorite travelling destinations? My most favorite touristic destination is Guilin. I enjoy very much the natural scenery there, where the landscape is simply ”the devil’s work”. Which favorite sport do you practice? Sometimes running at night, the main motivation is to exercise as well as to relax the brain. Sometimes running can spark new research ideas. 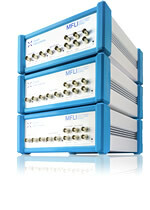 A new MF-PID option adds 4 independent PID (proportional - integral - derivative) controllers to the Zurich Instruments MFLI, our 500 kHz / 5 MHz lock-in amplifier. 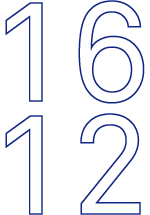 It is part of LabOne 16.12. Each controller is seamlessly integrated into the lock-in amplifier, processing inputs from a multitude of internal measurement data and analog input signals. The maximum control loop bandwidth is 50 kHz. Once the feedback loop is running, the auto-tune function optimizes the parameters to minimize the residual PID error. LabOne also features a parametric sweeper, oscilloscope and spectrum analyzer. These tools efficiently analyze the performance of the loop and compare it to the selected model. In PLL-mode, phase unwrapping extends the input range to ±1024π, supporting reliable feedback at start-up and robust operation throughout. A new MF-MOD AM/FM modulation adds the capability to generate and analyze signals at phase-coherent linear combinations of up to 3 oscillator frequencies to the Zurich Instruments MFLI, a 500 kHz / 5 MHz lock-in amplifier. The MF-MOD AM/FM modulation uses LabOne instrument control software to set up direct measurement of (higher-order) sidebands in a variety of different modulation schemes, including amplitude modulation (AM) and frequency modulation (FM). Conventional double demodulation schemes, such as tandem demodulation, typically require multiple instruments. With our hardware, one instrument is enough. In addition, modulation frequencies are not limited by the maximum available demodulation bandwidth. All frequency components are accessed individually with adjustable filter settings and transfer rates. This option is a very powerful tool for all applications that involve more than a single frequency, such as Kelvin Probe Force Microscopy, pulsed laser experiments, THz spectroscopy, etc. The new MF Threshold Unit is the first functional unit for state detection with hardware triggers and associated logical operations to be made available in a medium-frequency lock-in amplifier. Up to 4 measurement and control signals can be observed simultaneously. Whenever a signal leaves a pre-defined range, or crosses an adjustable level, logical signals are derived. You can use up to 3 Boolean operations to combine these logical signals, if more complex patterns are needed. The result is then available on the DIO ports, as well as the Trigger Outputs. The Threshold Unit is included with every MFLI Lock-in Amplifier and MFIA Impedance Analyzer. Its functionality increases by adding other options, such as the MF-PID Quad PID/PLL Controller and the MF-MD Multi-Demodulator option. This feature has many applications, such as AFM Tip Protection and Impedance Cell Sorting. Imaging is one of the most important applications for our customers doing Scanning Probe Microscopy (SPM) as well as non-linear imaging, such as CARS, SRS and THz spectroscopy. A clear definition of a "line" based on a starting event detected by the line trigger and a user-defined duration. The resampling of the recorded data samples to the required number of pixels with suitable interpolation and/or averaging. Storage of the matrix-like data in a grid data structure, based on the number of lines defined. All this is now implemented in the LabOne Software Trigger module. With the power to sustainably stream up to 800 kSa/s over multiple channels in a triggered fashion (depending on product category), the LabOne server architecture is strong in data acquisition capability; even video rate (512*512 pixel/s) would still be well below its transfer rate limit. In Tim's last impedance blog post we looked at super-capacitors of 3000 F. This time, we are looking at the other end of the scale, capacitors of just 100 pF. If you would like to learn more about how to analyze the spectral behavior of electrical circuits in the impedance and admittance complex planes, you will find a straight forward introduction in Mehdi's most recent blog post. The MATLAB code to acquire data and draw the corresponding plots is also provided. We are pleased to announce the first round awardee of our ongoing call for sponsorship applications. The winner is the Frontiers of Nanomechanical Systems (FNS) conference, taking place on 5-10 February in La Thuile, Italy. The conference covers all aspects of nanomechanical resonators, including mechanical nonlinearities, out-of-equilibrium phenomena, dissipation, noise, sensing applications, and the coupling of mechanical vibrations to other degrees of freedom, such as electrons, nuclear spins, photons and phonons. Besides the financial support, one of our colleagues will attend the event in Italy in person. But we are not stopping yet! The call for sponsorship applications has been extended to June to allow more organizers to apply. The second round of evaluation will take place in June 2017. 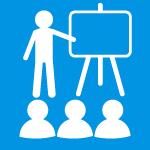 We will promote the selected events throughout our social media network and will attend the supported workshops in addition to welcoming the participation of other companies. Please contact Eva for more information and/or with details about your event.